With the experienced technician team, and work closely with the molding manufacturer for years, this make sure we can offer ODM services to meet the customization demand of the customer. 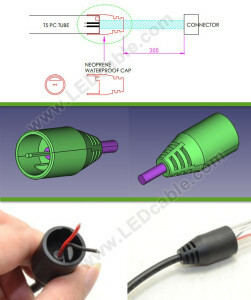 We have great advantage, and years of experience in R&D, manufacturing of cables and connectors for LED Lighting products, such as LED Waterproof Cable, LED Light Connector etc. At LeDe Electronic, we understand the customer's needs for completely customized solutions to fit their specific applications. 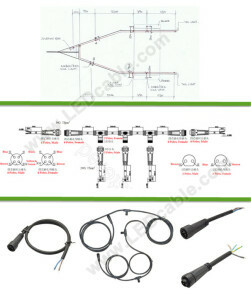 Just share your idea with us, we will start from design integration, prototyping to bulk production. Our team can provide CAD files (2D,or 3D) for supporte, and with our expertise on manufacturing, quality control, which will make sure to provide the reliable products and service to your project. We believe a successful customized project depends on strong communications between LeDe and the customers, and therefore, LeDe has dedicated personnel to manage custom projects, to give you the uninterrupted support that you need. And thanks for the technology developing, now, we have 3D printer to help us to get the job done faster and save some cost for the clients. Our sales and technician responds to the customer’s messages within 24 hours.